To the Economist, blockchain technology is “the great chain of being sure about things”. We’re quite confident, said Marc Andreessen in an interview with The Washington Post, “that we’re sitting here in 20 years, we’ll be talking about blockchain technology the way we talk about Internet today”. “It’s the first native digital medium for value, just as the internet was the first native digital medium for information.” - Harvard Business Review. The first four decades of the Internet brought us the e-mail, the World Wide Web, dot-coms, social media, big data, cloud computing and the early days of the Internet of Things. The Blockchain is the Internet of Value rather than the Internet of Information. It’s a platform for everyone to know what is true. It provides an open decentralized database of any transaction involving value. The Blockchain has no single central database, so no single person can defraud or hack the system. Someone speaks about the blockchain as the global trust machine. It is essentially “a distributed database of records or public ledger of all transactions or digital events that have been executed and shared among participating parties”. The verification through Blockchain technology creates the trustworthiness of the information we receive. Each transaction in the public ledger is verified by consensus of most of the participants in the system. It is encrypted and contains a certain and verifiable record of every single transaction ever made. Bitcoin, the decentralized peer ­to­ peer digital currency, is the most popular example that uses blockchain technology. Indeed, the Bitcoin was created using a process known as blockchain. The Blockchain technology is finding applications in a wide range of areas, both financial ​and non-financial​. The world’s biggest banks are in fact looking for opportunities in this area by doing research on innovative blockchain applications. In a recent interview, Rain Lõhmus of Estonia’s LHV Bank told that they found Blockchain to be the most tested and secure for some banking and finance-related applications. Generally speaking, it holds the potential for unleashing new applications and capabilities to transform many sectors, areas of business and law. This digital ledger of economic transactions can be programmed to record virtually everything of value and importance to humankind: birth and death certificates, marriage licenses, deeds and title of ownership, educational degrees, financial accounts, medical procedures, insurance, claims, votes, proof of the existence of all legal documents, health records, and royalty payments in the music industry, notary, private securities, provenance of food and anything else that can be expressed in code. Blockchain allows all transactions across the supply chain to be tracked in real time, helping to ensure that consumers only pay for what they get. This increased visibility into the functioning of the supply chain offers possibilities for further innovations to increase efficiency; blockchain not only allows operational changes to be transmitted in real time, it also enables all parties to transact and share information in a trusted way. Klaus Schwab, founder and executive chairman of the World Economic Forum, sums up its potential in this way: “in essence, the Blockchain is a shared, programmable, cryptographically secure and therefore trusted ledger which no single user controls and which can be inspected by anyone”. One key emerging use case of blockchain technology involves “smart contracts​”. A smart contract is an agreement between two parties that is stored in the Blockchain. Indeed, a smart contract is a computer program that makes possible to exchange an asset without third parties being aware of the transfer; this automates the execution of the terms of the contracts and opens up the possibility of creating a new form of virtual agreements. When a pre-configured condition in a smart contract among participating entities is met then the parties involved in a contractual agreement can be automatically made payments in a transparent manner and the need of an intermediary could become unnecessary or limited. Smart Property ​is another related concept “which is regarding controlling the ownership of a property or asset via blockchain using Smart Contracts. The property can be physical such as car, house, smartphone etc. or it can be non-physical such as shares of a company”. 3. Decentralized proof of existence. Validating the existence or the possession of signed documents is very important in any legal solution. The traditional document validation models rely on central authorities for storing and validating the documents. The blockchain technology provides an alternative model to proof of existence and possession of legal documents. By leveraging the blockchain, a user can simply store the signature and timestamp associated with a legal document in the blockchain and validate it anytime using native blockchain mechanisms. The existence of the document is validated using blockchain that does not depend on a single centralized entity. “Proof of Existence ​is a simple service that allows one to anonymously and securely store online proof of the existence of any document. This service simply stores the cryptographic digest of the file, linked to the time in which a user submits his/her document. It is to be noted here that cryptographic digest or fingerprint, not the actual document, is stored in the blockchain, so the user need not be worried about the privacy aspect”. For instance, Stampery is a verification and certification platform that generates legal proofs. Its service can be used to attest the integrity, existence, ownership, and receipt of any file or communication as well as to certify digital transactions to generate audit trails, protect its customer’s intellectual properties, and to prove proprietorship of digital assets. 4. Blockchain and IP law. One of the most applications of blockchain technology is as a registry of IP rights, to catalog and store original works. As Birgit Clark said the potential use cases include: evidence of authorship and provenance authentication, registering and clearing IP rights, controlling and tracking the distribution of (un)registered IP, providing evidence of genuine and/or first use in trade and/or commerce, digital rights management, establishing and enforcing IP agreements, licenses or exclusive distribution networks through smart contracts and transmitting payments in real-time to IP owners. 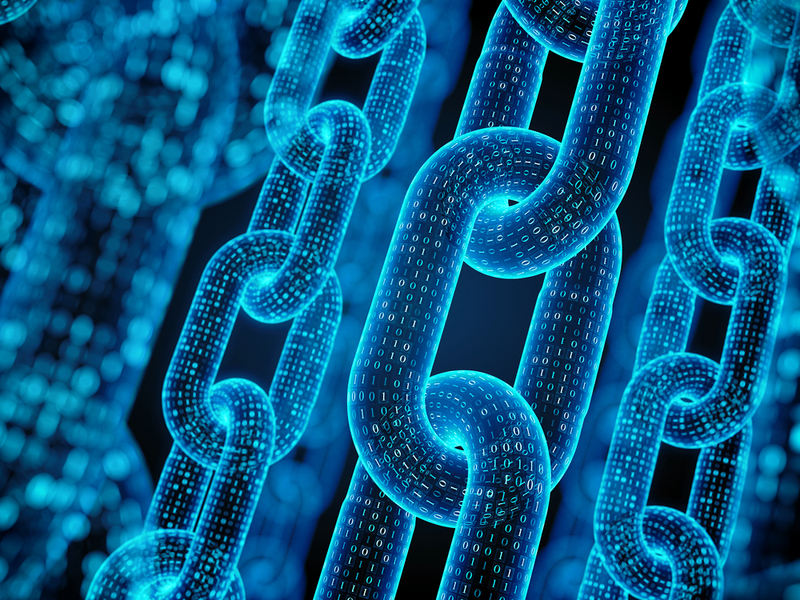 Blockchain technology can also play an important role within the context of unregistered IP rights such as copyright and unregistered design rights, since it can provide evidence of their conception, use, qualification requirements and status. Indeed, it also helps to give clarity to copyright authors, owners and users. Uploading an original design or work and details of its designer or author to a blockchain will create a time-stamped record and solid evidence to prove these matters. For instance, Bernstein Technologies is a company offering blockchain based solutions for Intellectual Property management. Bernstein allows companies to manage the whole innovation lifecycle by creating a trail of records on the blockchain. Inventions, designs, proofs of use can be quickly registered and a blockchain certificate will prove ownership, existence, and integrity of any IP asset. The Blockchain is an emerging technology, its decentralized ledger functionality coupled with security makes it very attractive to solve financial and non-financial business problems. Numerous companies and start-ups are working and investing in exploring its possible business applications. Today, the focus of societal governance is imposed largely by institutions and bureaucratic systems and the blockchain technology has the potential to change the status quo in a radical way. As the technology builds up, blockchain could accelerate a structural shift of power from legal rules and regulations to code-based rules and protocols governed by decentralized blockchain-based networks . The first step toward understanding how to regulate blockchain technology requires an analysis of its emerging uses, along with a more detailed examination of the technology’s benefits and drawbacks . The blockchain technology is a real game changer that provides various opportunities and it is still growing. Are we ready to embrace the future challenges? “Blockchain and the Law: The Rule of Code”(Primavera De Filippi, Aaron Wright), 2018.